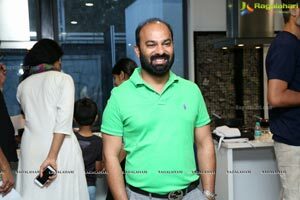 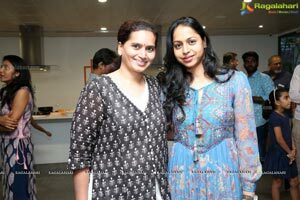 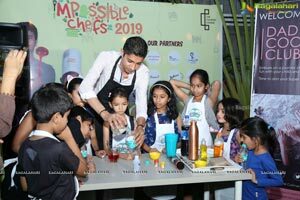 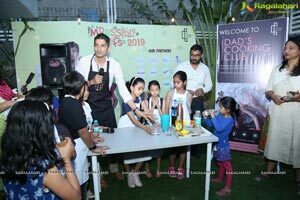 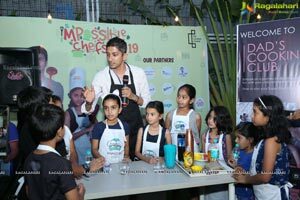 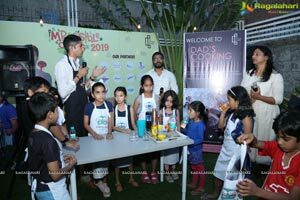 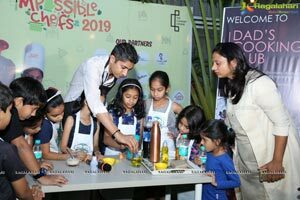 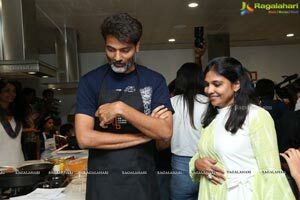 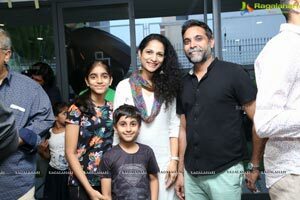 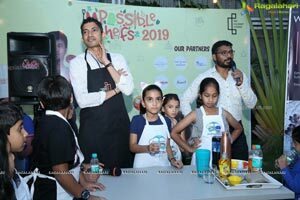 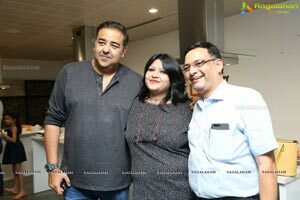 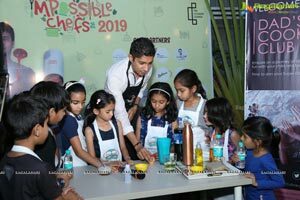 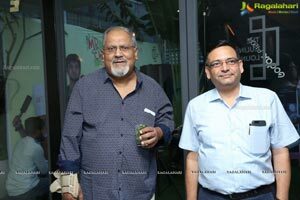 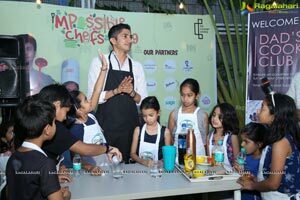 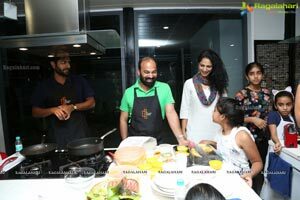 Hyderabad, April 4, 2019: This Ugadi, The Culinary Lounge along with Jay Krishnan launched a unique initiative in Hyderabad called ‘Dads Cooking Club’. 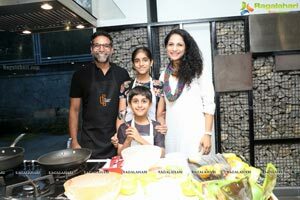 This elite cooking club connects dads and kids, and bond through various fun activities around their favorite food. 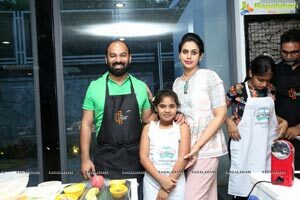 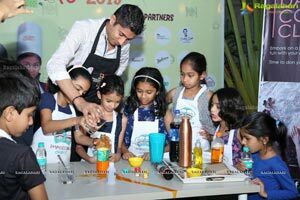 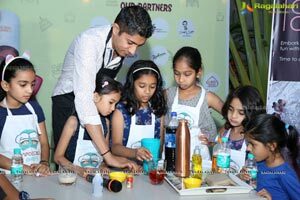 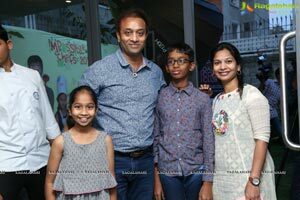 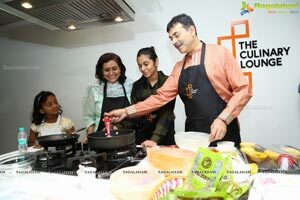 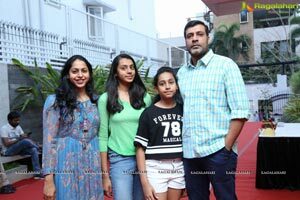 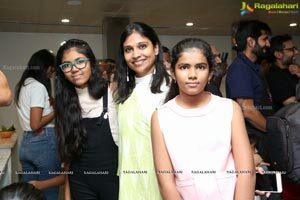 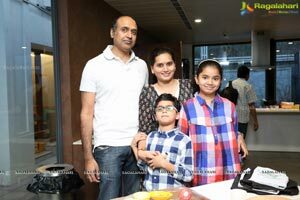 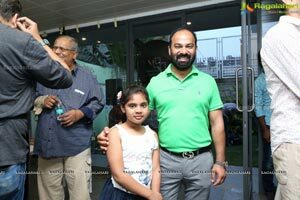 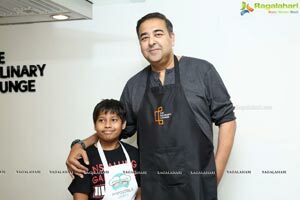 The inaugural session of Dad’s Cooking Club at The Culinary Lounge witnessed a line-up of celebrated parents who were seen behind the cooking station along with their children to make Ugadi Pachadi that is part of Ugadi heritage. 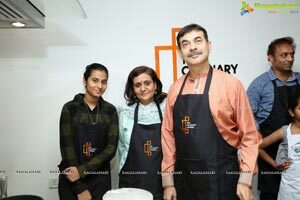 The session featured Jay Krishnan, Serial Entrepreneur and Former CEO- T-HUB, Lakshmi Nambiar, Shrishti Art Gallery, Jayesh Ranjan IT&C Secretary Govt, of Telangana, Actress Lakshmi Manchu, Prasad vanga - CEO Anthill, Vijayender Goud Tulla, Chef Chalapathi Rao, Vijay Marur, Actor Chaitanya Krishna were seen preparing Ugadi Pachadi. 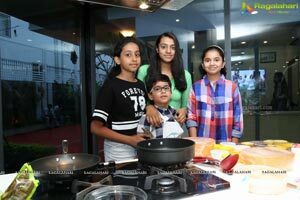 Putting on aprons and super hats, these invitees pampered their kids using their culinary skills by preparing delicious Pachadi to rejoice Ugadi using organic ingredients from Terra Greens - Tamarind Pulp, Jaggery, Raw Mango Shower, Coconut, Bengal Gram and indulged in fun full food-related activities. 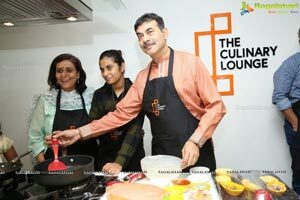 Everything at the lounge revolved around food. 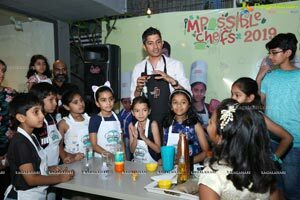 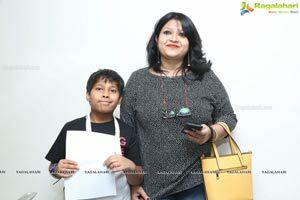 Starting with cook-off sessions followed by relishing the meal. 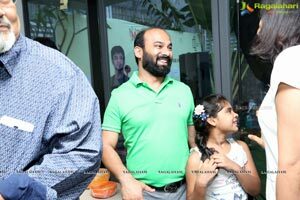 It was indeed an exceptional way of expressing adoration, indulgence, and bonding between father and child. 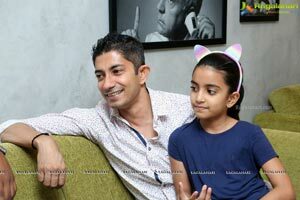 “Given the schedules we lead during the week, I don’t get to spend quality time with my daughter as much as I’d like. 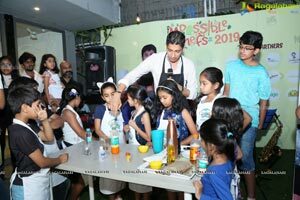 The ‘Dads Cooking Club’ is for dads like me eager to have fun with their kids on weekends through a fun-filled, engaging day of food and the possibility to learn about science and math through cooking in a fun way. 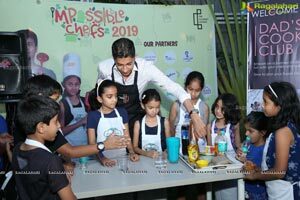 Look forward for the big day on May 18th 2019.” says Jay Krishnan, Serial Entrepreneur & EX-CEO of T-Hub and initiator of the ‘Dads Cooking Club. 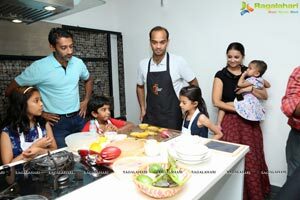 ‘The Dads Cooking Club is a stimulating idea, and we agreed to collaborate with the Initiator Jay Krishnan because of shared synergy. 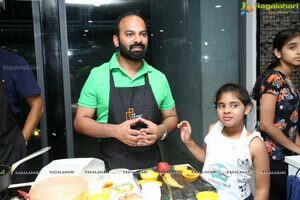 We hope the city will have many more food driven concepts like our club.” says Gopi Byluppala, CEO, The Culinary Lounge. 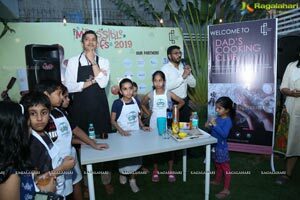 Dads Cooking Club will conduct activities for the members at regular intervals, curated by world-class chefs to fully engage dads and their kids. 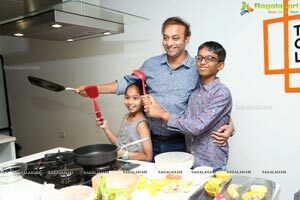 The focus is to create lasting memories for the dad-kid duo. 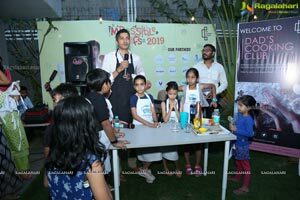 ‘Dads Cooking Club’ initiative is supported and sessions will be held at The Culinary Lounge, Bharani Layout in Film Nagar. 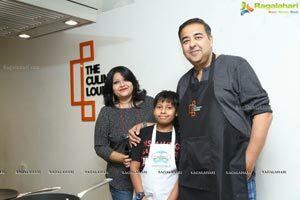 The idea behind Dad’s Cooking Club is to crcatc gastro delight rccipes, mastering different meals and feel comfortable handling kitchen equipment at The Culinary Lounge. 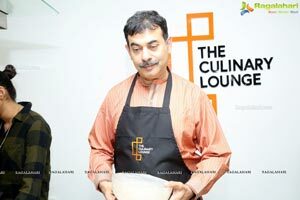 About The Culinary Lounge: is a first of its kind social culinary hub in India founded by Gopi Krishna in 2017 with a vision to provide a unique experience zone, for people to bond over cooking and eating. 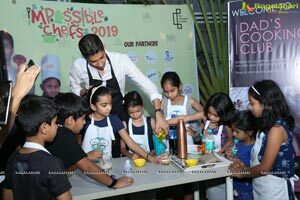 Nestled in the green environs of Jubilee Hills, the 6000 square foot, well designed lounge offers world class experience with state-of-the-art kitchen stations and an indoor and outdoor dine and party zone. 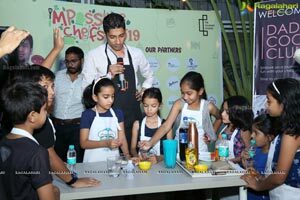 The Culinary Lounge also hosts team building events for corporate and specialize in cook-offs, parties, events apart from one go-to place for socialite gatherings, invites the best internationally known chefs to curate exotic food for foodies.